All you need is 5-10 minutes. After you become an 'expert', you may be ready to schedule your FREE, no-obligation LASIK consultation with Dr. Stewart online. Tennessee LASIK provides services at a cost that allows us to offer the industry’s best equipment and to spend the time necessary to ensure predictable results. Stromal dehydration - is a condition during laser eye surgery after the superficial flap has been created and opened and the water between the collagen fibers in the cornea begin to evaporate from the exposed tissue. As the stroma becomes relatively dehydrated it gains a greater collagen fiber density so each laser pulse removes slightly more collagen tissue per pulse than it would if it was fully hydrated. Although the effects are minor final results may become affected. The faster the surgery, the less stromal dehydration takes place, the better the results, and the Allegretto Wave Eye-Q 400Hz is one of the worlds fastest with a speed of only 1.4 seconds per diopter. Overall, the final outcome with the WaveLight FS200 Femtosecond Laser and the WaveLight® Eye-Q 400Hz Excimer Laser result in a reduced risk of post-LASIK complications and superior results. 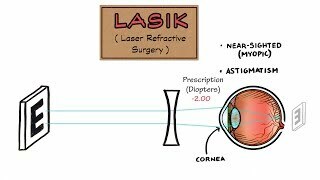 Now that you know a little more, the next step is to meet the Tennessee LASIK team and find out if you are a good candidate for LASIK vision correction surgery. Since your consultation is free, you have nothing to lose. Scheduling online is easy or you can call our office at 865-966-9182 to speak directly to a member of our team. During your consultation, we will determine if you are a candidate for LASIK, discuss your treatment and payment options and schedule your surgery.